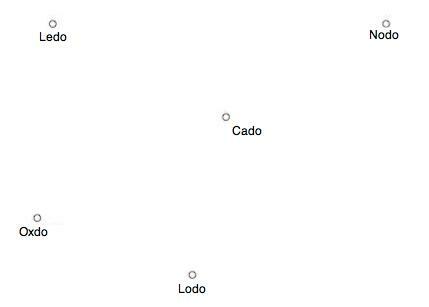 For example, we could go from Nodo to Oxdo but go through Cado on the way. Or, we could go from Lodo to Ledo but go through Oxdo on the way. Trial and improvement. Games. Combinations. Multiplication & division. Addition & subtraction. Investigations. Interactivities. Working systematically. Place value. Generalising.